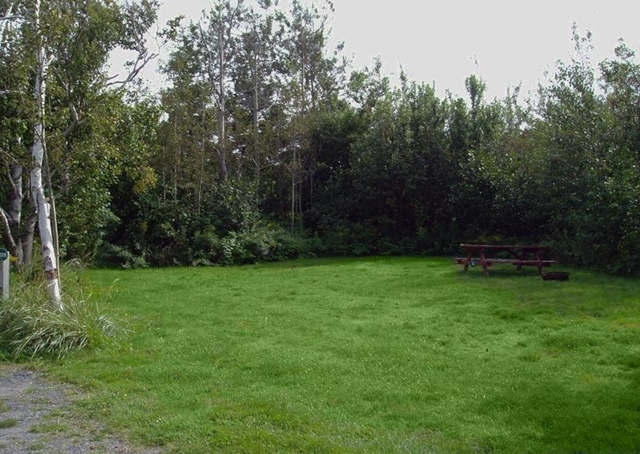 Site #74 is a large, level, grassy, sheltered unserviced Water View site, with woods on three sides. 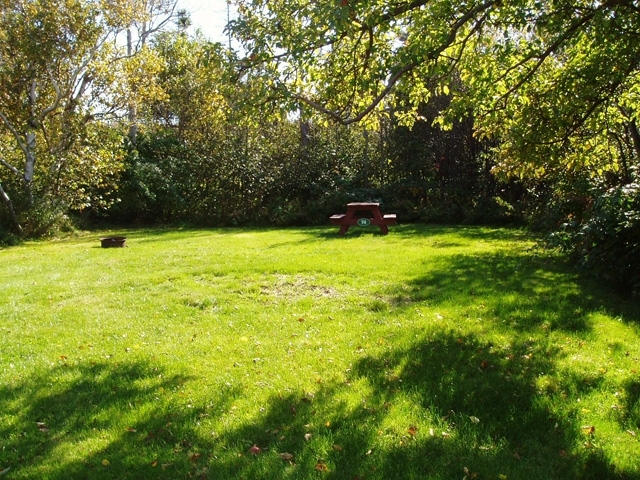 The site will accommodate one or two tents or a vehicle of 22 feet or less, and is equipped with a picnic table and fire ring. 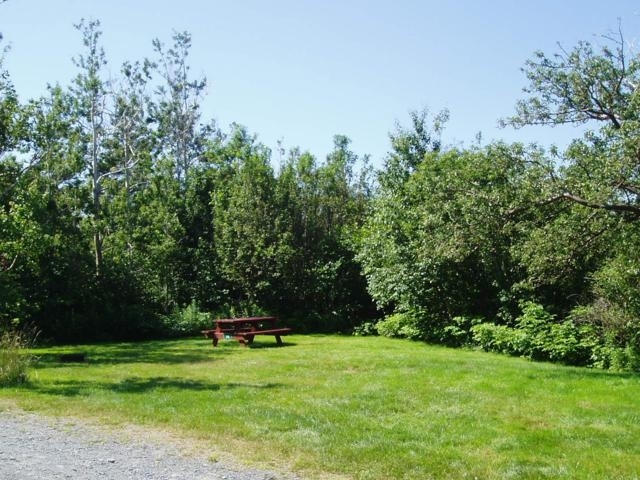 Drinking water taps, portable toilets and the path to the shore are located within an easy walk.